Phthalates have been attracted as a considerable attention in toxicological research as well as public health context due to their ubiquitous occurrence and potential adverse health effects. 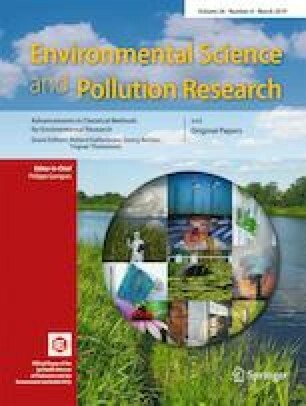 Newborns are susceptible to the environmental risk factors; however, data are still limited on newborn phthalate exposure and risk assessment worldwide, especially in China. This study was nested in a cross-sectional retrospective study of 1359 pregnant women recruited in Xiamen Maternity and Child Care Hospital, China, during June to July 2012. All urine samples from newborn were collected using disposal diapers during the first two postnatal days, and seven phthalate metabolites were measured by LC-ESI-MS/MS. Phthalate exposure and accumulation risk were evaluated based on the measured newborn urinary internal doses. The detection rate (96.5%) and the median concentration (17.5 ng/mL) of mono-n-butyl phthalate (MBP) were the highest, while monobenzyl phthalate (MBzP) concentration was the lowest with a detection rate (1.50%). By estimating the daily intakes of the parent phthalates, their EDI were 0.04, 0.10, 0.32, 0.00, and 0.12 μg/kg-bw/day for dimethyl phthalate (DMP), diethyl phthalate (DEP), di-n-butyl phthalates (DBP), benzyl butyl phthalate (BBzP), and di-(2-ethylhexyl) phthalate (DEHP), respectively. The newborns were commonly exposed to phthalates but no one exceeds the regulated tolerable daily intake (TDI) values in this large newborn population. Xueyan Li and Liangpo Liu contributed equally to this work. We sincerely thank all the mothers who contributed their samples, and the midwife and nurses from Xiamen Maternity and Child Health Care Hospital to offer their kind help in this study. We also thank MS. Md Nur Alam for his valuable contributions of English modification in the present work. The present work was supported by the NSFC Research Foundation (21407144), Natural Science Foundation of Ningbo (2017A610042), and Fujian Nature Science of Foundation (2015J05038).